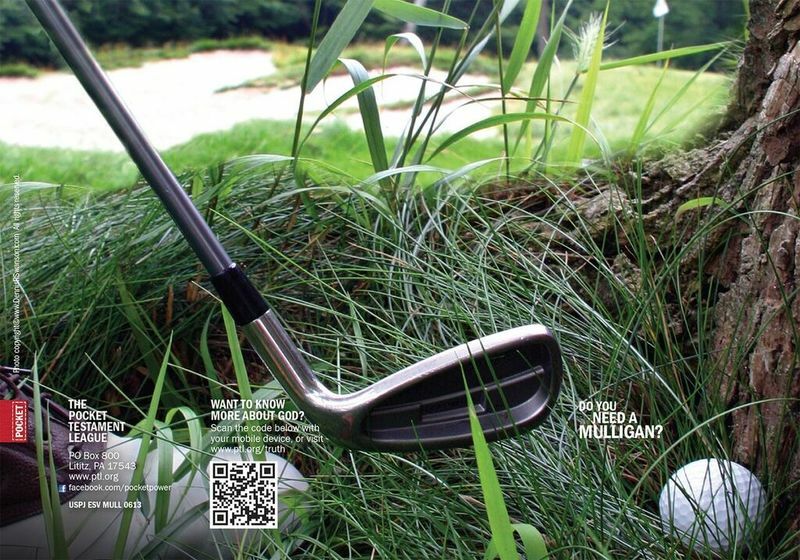 Detalhe do produto para : Do You Need a Mulligan? Share this Gospel with fellow golf enthusiasts, the pro-shop attendants, or server at the coffee shop after your game. This Gospel of John cover, sponsored by Old Pro Resources, asks a question that any golfer can relate to: "Do you need a Mulligan?" We all find ourselves in need of a mulligan at times, and God provided the Ultimate Mulligan -- a chance to start life fresh -- through Jesus Christ. This picture of a golf ball stuck in the deep rough, by photographer Dennis Swanson, illustrates the state of our lives when we've messed up and find ourselves living outside the smooth fairway of God's plan for our lives. provides a quick link to learn more about God. Para mais informações sobre capas personalizadas, entre em contato conosco!